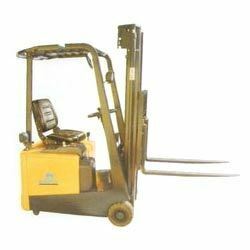 We are a leading Wholesale Trader of counter balance mini forklift from Mumbai, India. We are one of the leading supplier of quality range of Counter Balance Mini Forklift series specifically designed and constructed to operate in limited spaces while still offering, these are highly appreciated by our client for its high performance. Looking for Counter Balance Mini Forklift ?